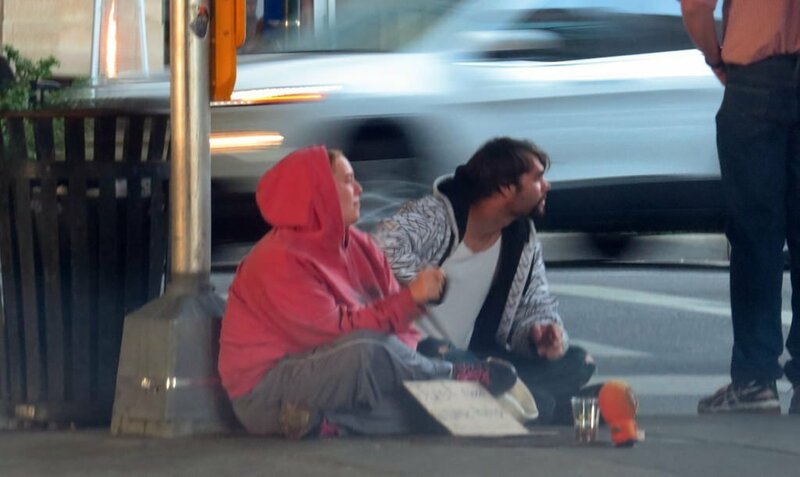 Editor’s Note: I asked Phillip Fletcher, Executive Director of City of Hope Outreach, if he would address panhandlers in Conway. Many of the panhandlers are among our homeless. Phillip dives into the top. Compassion represents a very human and deep activity which places an individual in the storm of another individual’s experience. Compassion is made up of two words, “together” and “to suffer.” I gain knowledge-hearing or seeing-about your situation and this emotion rises out of the depth of my being to propel me to embrace another person in his or her difficulty. Why should we respond? We should respond based on the recognition of our sameness. Our sameness is rooted in the truth we are image bearers of God. I have either experienced my own suffering or I know at some point a difficulty is on the horizon. Nevertheless, I understand to be alone or to be isolated as a human being when all hell is breaking loose cannot be how I am supposed to exist. As you exit the 40-Freeway or drive towards Vilonia or Greenbrier, at some point in time you will see a man or woman homeless and in need. You and I can enter the apparent suffering of another individual through acknowledgement and benevolence. Acknowledge the homeless man or woman with a welcoming smile, a wave, or most importantly a kind word. People desire to be seen by others and the experience of acknowledgement can offer a healing balm to a person who has had a long day. Second, be benevolent. Carry in your car gift cards for food, water bottles and small bags of toiletries. Also, our community has great services such as CoHO, Bethlehem House, CAPCA, and the Conway Ministry Center. Consider offering direction to these organizations so persons can find long term support. We are men and women who possess the capacity to act with compassion. As God entered the suffering of humanity and reconciled humanity back to himself through suffering, we can enter the suffering of humanity because Christ has triumphed. He has made us alive because he is alive. Therefore, to live means being active and aware. It means being able to move into situations which are powerfully difficult and situations in which we will not completely understand. Let us act compassionately for the homeless. This is a wonderful article. It’s been very distressing to see that, for all the churches Conway has, it has yet to come up with a compassionate way to meet the homeless crisis. Hopefully, we will see some changes in the near future. Folks like Phil Fletcher help us find our way. Thanks for stopping by Ashley!